In a previous article, we discussed the limited choices available to incarcerated persons. And while there are many choices that inmates can’t be allowed to make, some options and decision-making processes are too important to be allowed to atrophy. Incarceration facilities already have exercise equipment to train inmates physically; why shouldn’t there also be a way for prisoners to practice making better decisions? This post will cover the obvious and less-obvious choices inmates lose upon entering a jail or prison, as well as the correctional solutions that could return a semblance of judgment back to incarcerated individuals. When a person goes to prison, their choices regarding time, physical movement, and privacy must be limited. In order to maintain a secure environment, incarceration facilities must be allowed to schedule the daily lives of their inmates. For instance, if a pair of prisoners is liable to a no-contact order, the jail or prison in which they both reside must feed, bathe, and exercise them separately. Allowing inmates to make choices regarding how they spend all 24-hours of their day is a recipe for chaos. The physical movement should be the most apparent choice limitation, as the cornerstone of imprisonment is a revoked freedom of movement. An inmate can’t choose to visit their Grandma because inmates can’t leave prison. Similarly, inmate privacy must be limited to minimize escape attempts, riots, plots, and conspiracies. How else could guards discover inmates tunneling out of their cells without searching said cells? Likewise, it would be impossible to find and confiscate weapons and contraband if inmates had an inalienable right to personal privacy. These obvious choice limitations are the bare-minimum infringements incarceration facilities have to make to function. Smart correctional solutions can’t change this. It may not be apparent, but there are several choices that are unnecessarily limited in prison. Choices that–if made available through well-executed correctional solutions–would expedite the rehabilitation process. In prison, inmates first lose the choice to appear vulnerable. On the inside, inmates are subject to a self-imposed status hierarchy. The weak are exploited by the strong. Any sign of outward weakness or vulnerability is swiftly punished, not by the guards, but by other prisoners. Due to this fact, inmates don’t have the option to cry in front of each other or grimace in pain, or to relax and let down their guards simply. The correctional environment itself breeds antagonism, which is mentally draining and not conducive to self-reflection or repentance. Third and finally, inmates lose almost all free-market economic choices. While commissaries do provide essential goods and services to inmates, their lack of competition/selection does nothing to stimulate the discerning mind. Because of this, inmates make fewer value-based judgments and appraisals. They don’t need to weigh the pros and cons of buying one product versus its competitor; there is no competitor. 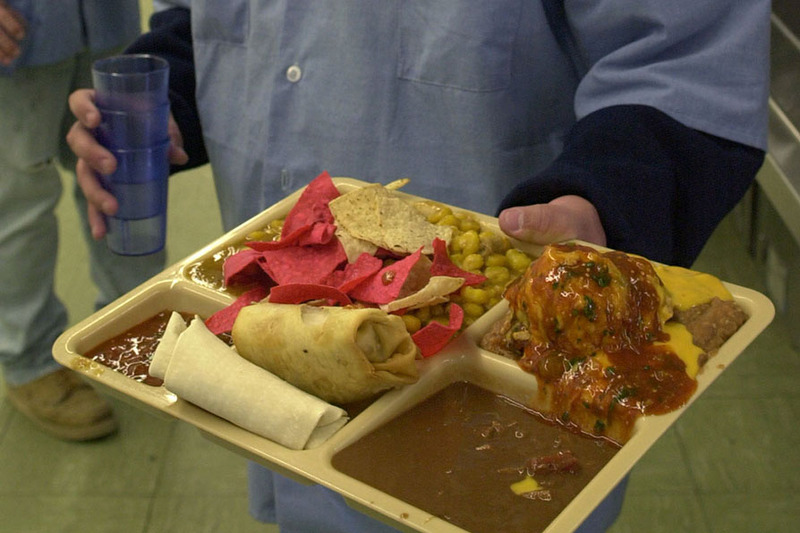 If an inmate wants to buy a bag of chips, there is only one vendor to buy from. This lack of economic choice does nothing to prepare prisoners for the real world, nor does it strengthen critical thinking skills. Fortunately, none of these choice-related problems requires a correctional solution that would compromise the incarceration environment. In other words, there are solutions that don’t inversely impact facility security or control. Civic participation could also benefit from minor changes at the facility level. Sure, incarceration institutions can’t change laws prohibiting voting by inmates, but they can do other things instead. If the prerequisite to a democracy is a well-informed populace, then jails and prisons could offer news services and substantial libraries so that when inmates get out, they aren’t bewildered by current events. These information options could also keep inmates attached to the outside world. Free-market economic choices would be the hardest for incarceration facilities to implement, but that’s only because no readily-available model exists as of yet. It’s highly abnormal for a facility to offer more than a single commissary option. But imagine if multiple commissary providers could all compete in the same marketplace instead of receiving county-wide monopolies as they do today. A reality like that would offer significant incentives for inmates to think critically. While there are many choices that are restricted on the inside, some choices and decision-making processes are so crucial that correctional facilities should shift gears and encourage them. Interpersonal intimacy, civic engagement, free market participation; these are hallmarks of good citizenship. But when an environment limits the choices making up these attributes, it becomes impossible for individuals within that environment to strive towards good citizenship. Luckily, there are numerous correctional solutions which facilities can use to restore these choices to inmates. The bottom line is that jails and prisons shouldn’t make it hard for prisoners to practice being good people. In fact, they should make it as simple as making a choice.